I've never used MS techniques when out and about. Much as I'd like to I can't justify the cost of a decent rig with separate M and S mics. 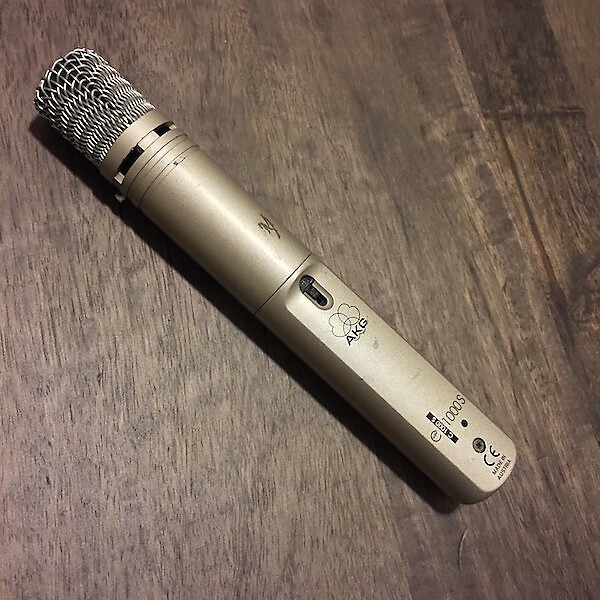 So the alternative in which my interest has been reawakened by the other thread referred to above is to get one of the somewhat cheaper MS mics where the matrixing occurs in the mic and the amount of Side is determined by on-mic switching. A thought occurs... Is it possible via plug-in or some other means to 'unprocess' the L/R signal back into its M and S elements? I thought I'd read something by Hugh about this, but can't find it anywhere. Mike Stranks wrote: A thought occurs... Is it possible via plug-in or some other means to 'unprocess' the L/R signal back into its M and S elements? I thought I'd read something by Hugh about this, but can't find it anywhere. The maths involved in turning an M-S signal into a L and R signal is exactly the same as going the other way. So your M-S decoder also works as an M-S encoder. Which mic’s are you referring to? I can’t see why you’d need to record in MS format if the mic’ outputs in LR format. In your DAW (Logic has a free plugin called Direction Mixer) you can convert to MS for adjusting the level of the S channel to widen or narrow the sound field and then convert back to LR format. OK, my head hurts. I get that MS is a great way to be able to control the stereo imaging. But my brain is struggling with the benefit of turning an existing stereo (dual mono?) recording into MS - are there many? If I wanted control of the stereo width then I could adjust the panning. If I wanted the 'sides' but less 'mid', I could bus the stereo into mono bus/aux and add / subtract by flipping the polarity on the send (and pray that my DAW keeps everything in phase). So I guess I'm kind of faking MS a bit. But are there many applications for this? Dave B wrote: OK, my head hurts. I get that MS is a great way to be able to control the stereo imaging. But my brain is struggling with the benefit of turning an existing stereo (dual mono?) recording into MS - are there many? I'm told it's reasonably common as part of the mastering process (it's certainly something I use when I get to that stage of the job). It allows you to do stuff like high-passing the sides signal, and I sometimes stick a multiband compressor (just acting on the bass) on the mid. Those two in combo can tighten up the low end quite a bit. Raising the sides can then add some width without impinging headroom (as you've taken a lot of the low out). I'm sure there are other things too though. Thanks James, Dave B and blindrew for your comments - especially James for the link to Hugh's article. That's the one I was seeking; don't know why I couldn't find it. Done... dusted.... but court-jesters please feel free to continue with your merry quips. Panning will let you position and narrow a stereo (dual mono) recording but it can't make it sound wider. So if your dual mono stereo image is quite narrow and you want it to be wider, you really have no alternative but to convert to a MS track (or use a plug-in that uses MS to do so). Mike Stranks wrote: A thought occurs... Is it possible via plug-in or some other means to 'unprocess' the L/R signal back into its M and S elements? Yes. As long as the two* (Mid and Side) capsules are coincident in the mic, then you can transcode between the left-right and mid-sides formats back and forth as often as you like without loss, making it very easy to adjust the stereo width (strictly, the stereo recording angle) as a post-production exercise. * In fact many single-bodied MS mics actually use three capsules, all cardioids. One facing forward as the mid output, and the other two back-to-back facing sideways to provide the Side signal. These capsules are summed internally with opposite polarities to create the required fig-8 polar pattern. Dave B wrote: But my brain is struggling with the benefit of turning an existing stereo (dual mono?) recording into MS - are there many? If the source track is genuinely dual mono -- ie. identical signal on both channels -- there is inherently no stereo width, so converting to MS will produce lots of signal on the Mid channel and nothing at all on the Sides channel. And in that situation it is obvious that nothing will happen if you increase or reduce the level of the Sides signal (other than potentially introducing noise!) -- there is no stereo width to change. Adjusting the panning of such a track will move the mono signal around the sound stage, but it won't change its width. However, if the track is genuinely stereo with some different content on the two channels -- even if recorded with spaced mics -- it will have a width component which will be carried by the Sides signal. So in that situation, converting to MS and adjusting the level of the Sides signal will allow manipulation of the stereo width. As Blindrew stated earlier, this is a common technique in mastering, particularly with frequency-selective processing such as the 'Elliptic filtering' employed in vinyl mastering to concentrate all bass in the Mid channel (to avoid the groove levelling out and resulting needle skips).